I’ve sometimes been put off by the music of Platoon 1107. While I love the punk tone, the militaristic and overtly patriotic mindset of the music runs against my pacifist Christian allegiance. The latest release from Platoon 1107 comes from an entirely perspective. Platoon 1107’s Day Of Anger seems destined to end up as the most unusual release of 2018. Day of Anger contains just a single track, divided into five parts and running a brief 3:40. It’s to the point, instantly engaging, aggressive, and as the title suggests, it’s angry. Angry in a very personal way. Jimmy Sisco of Platoon 1107 reveals his grief about the death of his father. Arriving at his father’s bedside only moments after his passing, Sisco tells of his hurt and anger at God. He’s equally angry with how lung cancer robbed him of his father. When asked, many Christians won’t reveal their personal struggles and discouragements. Those doubts come to the forefront on Day of Anger, as Sisco shares his pain in a deeply personal way. A struggle with the will of the Almighty can break or refresh a persons faith. We need to trust, that through this strife, Sisco will discover reaffirmation of his faith in God. 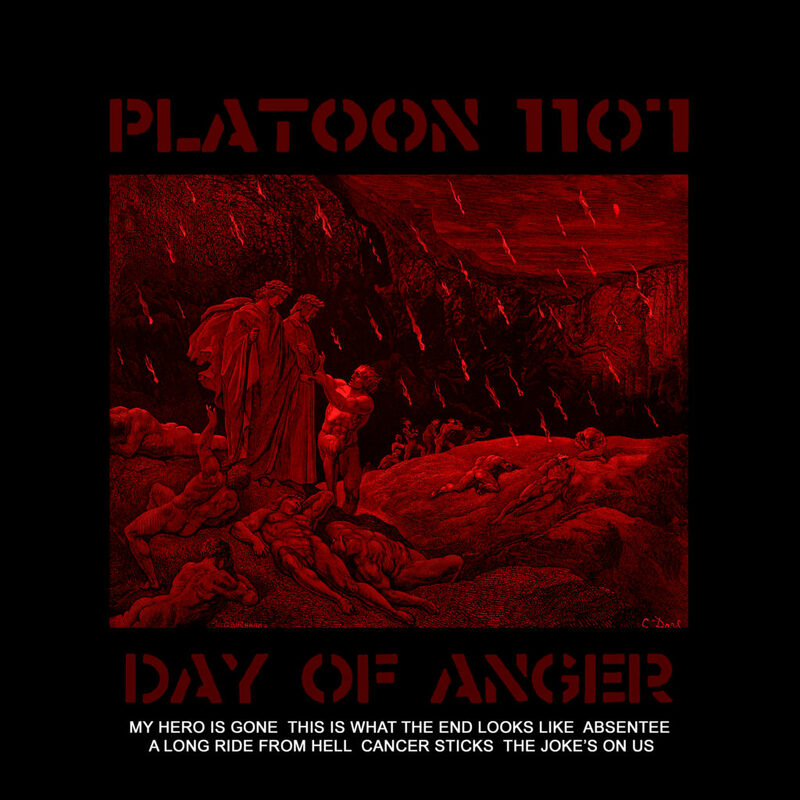 Day of Anger from Platoon 1107 is available as a free download or “pay-what-you-will” on Bandcamp.